A Long, Long Time Ago…and Very Far Away, There Lived…oh, how I miss those stories! We would snuggle up together, my children and I, and I would start off the same way every time: “A long, long time ago…and very far away, there lived a boy named Archibald and his sister Annabel.” My children would look at me and, eyes wide in awe, ask, “Mommy! Is that us?! ?” Archibald and Annabel had wonderful adventures. They traveled far distances to strange and fantastical lands…they were brave and true and intelligent…they built rafts and sailed ships and were never lonely or cold or sad. Their adventures took them to lands strange and fantastical and they met people of all sorts, shapes and sizes…and like Max in Where the Wild Things Are, they would always return to the night of their very own room and dinner would be waiting for them…and it was always hot. It seems to me that life has a way of robbing children of the elements that make life worth living – the magic and wonder of story, the belief that Santa might exist, the possibility that dragons and elves and fairies live…and that children can be safe wherever they want to go. 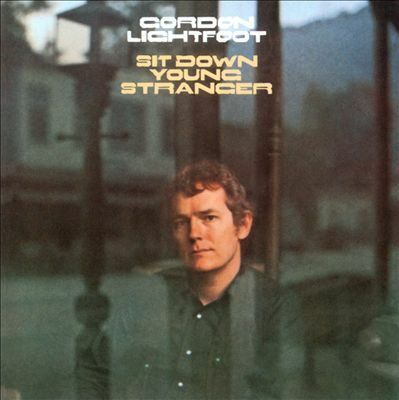 Gordon Lightfoot wrote a beautiful song for his children called “The Pony Man.” It’s on the album Sit Down Young Stranger. I suppose that might have been the genesis of the Archibald and Annabel stories. I wanted my children to feel special, to feel that life was filled with limitless possibility and magical adventure. My 27 year old daughter Kate (aka Annabel) still remembers the stories…and although he doesn’t want to admit it, my manly 23 year old son Rhys remembers them too. So…perhaps Archibald and Annabel will live forever…I’d like to think they will. This has been a Finish the Sentence Friday post. The prompt is “A long, long time ago and very far away, there lived…” Tonight’s prompt is hosted by the ever-awesome Kristi Rieger Campbell of “Finding Ninee,” and yours truly, Deborah Lovel Bryner of “Life is Like a Hand Grenade.” We would love for you to participate…click on the link below. Aw… the stories! I started telling my daughter “door in the floor” stories one day, about being able to leap down a puddle or magical door to another world. She totally believes this can happen. She also believes in fairies and Santa and everything else. My son is three so that goes without saying. There's something about believing in magic. I think sometimes it can go into adulthood. You may know that Santa isn't the one giving the gifts, but you can believe in a lot of wonderful things. Oh those magical days of kids in bed with me snuggling, giggling, reading, and believing their might be a Santa. Mine are all a little beyond that now, but I do my best to instill an appreciation or at least some awareness of days and stories and family from long, long ago. Gordon Lightfoot. Wow. I haven't listened to him in a long time. So beautiful! How lucky your children were to hear such wonderful stories from you. Have a wonderful Mother's Day weekend! So glad you're hosting with me this week and I LOVE those stories. I tell my son made-up magical stories as well and it's such fun to do so on the fly – sometimes, I'm surprised by where I go with them even more than he is! Loved the prompt and the stories. What a wonderful storehouse of memories created for your children. Thanks! The seal of approval for me is my kids' eyes still light up when they talk about Archibald and Annabel…and who know? Maybe one day I'll get to tell them to my grandchildren. When I was a child out in the Alaskan Bush, we were richly blessed with Reuben Gaines, Alaska's Poet Laureate, who had a program on KHAR-AM radio called “Conversations Unlimited.” He told the wonderful tales of Chilkoot Charlie, his sweetheart Diamond-Tooth Gertie and his best friend, Six-Toed Mordechai…I had a good teacher. Mr. Gaines' voice was very much like that of Lowell Thomas, Sr. Great role models.. I had fun! Still need to read the rest of the posts – I'm always awed by everyone's work. We'll have to do this again! I love these stories and I tell my girls Nicole and Elise stories for them. It really stretches my creativity to thinnk it up on the fly and really gets my thought process going.